Ask yourself: What people do you serve in your job or business? Customers, employees, channel partners, investors or all of the above? Are you really responsive to them. Chances are your primary mode of communication with any of these constituencies is e-mail… maybe text or twitter. This has changed a lot even in the last few years. My phone almost never rings, yet I have conversations via e-mail and text that I would never have had a few years ago. Many pundits warn the loss of personal interaction and inefficiency of problem solving with rapid fire digital conversations… They may be right, an important topic in itself. 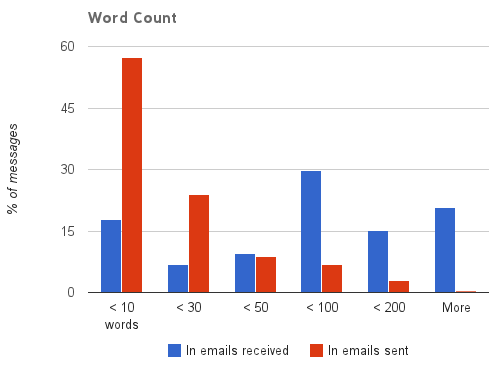 But this article is about optimizing how you respond when the medium is e-mail. If people are your business, and people communicate mostly via e-mail, then e-mail (twitter, linkedin…) is your business too. A company I know well recently visited silicon valley to raise money. The company had long been in communication with three valley VCs and emailed all three VCs in advance of their visit to setup meetings. Two VCs responded quickly and setup meetings. Two weeks later one issued a term sheet that was soon signed. Because the round was tight, the third VC – who didn’t respond to the company’s initial e-mail but later wanted in – was cut out. 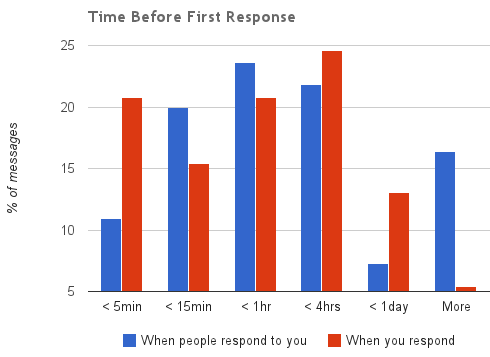 Makes people feel respected and appreciated: Don’t you feel good when you send an e-mail and get a response quickly? Moves the ball down the court faster: As boundaries between organizations, departments, companies and roles blur, the binding workflow tool is increasingly e-mail – like it or not. Don’t become a bottleneck. Keeps things from falling through the cracks: The longer you wait, the more likely you or the sender will forget about whatever needs to be done. Assuming the e-mail was sent for a good reason (a bold assumption, true), that’s a shame. Lots of people say they are overwhelmed by their e-mail, but there are really no excuses. Sam Yagan – entrepreneur, CEO of Match.com and advisor to HPVP – responds to every e-mail I send him within 24 hrs. He’s an officer at a public company, there’s no way I’m high on his constituency list AND I’m pretty sure he gets more e-mail than all of us combined. The tradeoff to being highly responsive is that in order to be so, you probably need to be more terse (pithy?) – fewer and shorter words to say the same thing. I have to be careful about this with people I don’t know well. But with professional relationships I know well, I’ve even started using text-speak (b rght thr) – something I would never have done in 2010. No one seems to care. Here are my wordcount stats. Pithy. To respond fast, you also need to make decisions fast. This is another tradeoff (or really a benefit?). When you put limits on time to response, you force yourself to make decisions faster. I’ve found this slightly increases my error rate on both the decisions themselves and how I communicate them, but not nearly enough to outweigh the benefits of speed. Happy responding! It will be appreciated.